It was those contemplative moments that came back to me with Proustian recall, as all the book-learning drained away. And what I felt was authentic grief. I have been appalled by the loss of two other buildings, the Twin Towers, but I didn’t grieve for them, only for their occupants. 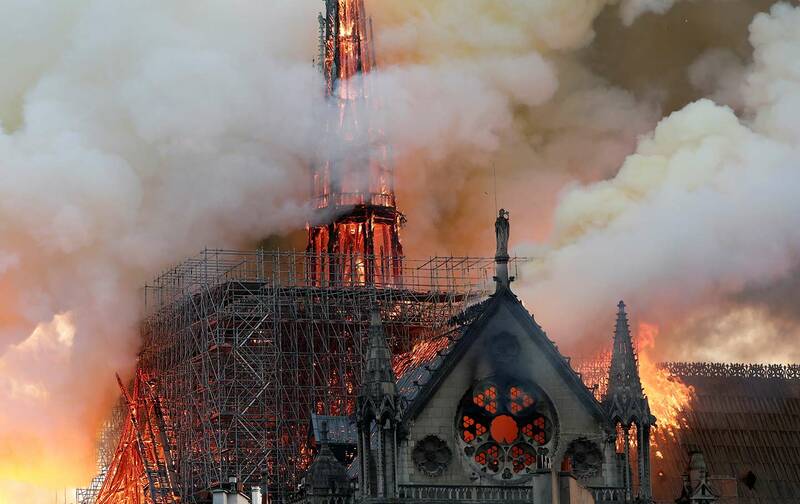 The Notre Dame fire was different. The church somehow embodies a civilization, and had it been erased from the earth—as thankfully it has not been, as it now appears—the loss would have been irretrievable. The survival of the towers, the facade, the windows, the walls, the buttresses—all this is more than I hoped for in those first moments of grief. It was as though France herself had emerged from the smoke and gloom, a survivor—hurting, naked, and vulnerable, but still France. Of course, Notre Dame herself has been through this before. When Paris was liberated in 1944, de Gaulle went to the cathedral for a Te Deum mass. The moment was captured on film by Henri Cartier-Bresson. On the night of the fire, almost 75 years later, President Macron also went to Notre Dame and announced that the damage would be repaired. In 1944 Notre Dame stood witness to the rebirth of France. In 2019 the French president stood witness to the survival of Notre Dame. One good turn deserves another.